This lovely, festive mug appeared on the Disney Store website last Christmas and stupidly I made the mistake of waiting until I was next placing a large order only to find it had sold out by that time! I've been kicking myself over this ever since! I sadly only discovered this beautiful decoration once it had sold out and I think it's the item I most regret missing out on! It's still on eBay, for over double the price, but I will have to bite the bullet and get one soon before they disappear altogether! Another beautiful mug that I didn't manage to get my paws on before it sold out. This has definitely got to be the prettiest Aladdin mugs I've ever seen! Sooooo basically if anyone wants to sell any of these items to me, hit me up haha! 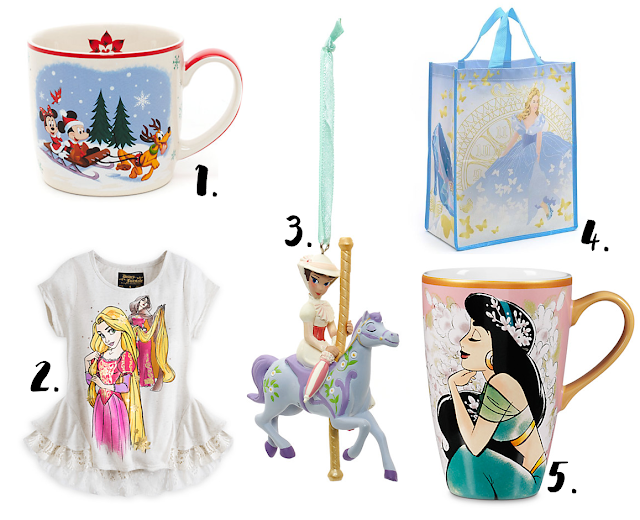 What Disney Store things do you regret missing out on?